The Lay Dominicans will meet here at St. Cuthbert’s on Sunday 15 October at 2.30pm. 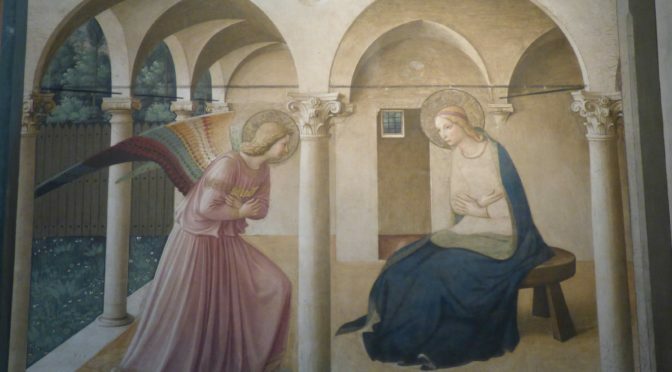 The subject will be Dominican art in Florence, at the churches of S. Maria Novella and S. Marco (including the work of fra Angelico who was a Dominican friar). Everyone is invited – you don’t have to be a member of the Lay Dominicans to come. Previous PostDementia FriendsNext PostWanting to become a Catholic?